In the past few years the interest in magnesium worldwide has extremely increased. A lot of attention has been paid on the effects of the mineral. An extraordinary important and well-known effect of magnesium is that it reduces and prevents stress. It provides a fast energy generation, as it controls glucose. Next to this, magnesium is involved in the regulation of sodium and potassium, which provide the active transport of electrolytes. A deficit in electrolytes can lead to dehydration or decreased performance. The balance of electrolytes in the body is important for a normal functioning of cells and organs. Magnesium is especially important for athletes. The intake of extra magnesium leads to improved performance, physically as well as mentally. It helps to body to recover excellently after physical activity, as it relaxes muscles and nerves. The magnesium fosters the blood circulation. For this reason magnesium is also considered as an excellent therapeutic agent against cardiac arrhythmias. MSIsport is a unique 100% natural magnesium supplement. The magnesium is absorbed tremendously well by the body and it helps the body to recovery excellently after physical activity. Each capsule contains 500 mg magnesium, of which 73 mg magnesium ion, which is absorbed really well by the body. MSIsport also contains 40 mg Vitamin C.
Magnesium is involved in the process of obtaining energy. For this reason it is an enormous important mineral for athletes. A deficit of magnesium can lead to cramps, fatigue, apathy or nausea. A proper amount of magnesium in the daily diet prevents muscle injuries, fractures or bruises. – it reduces stress and improves the mood. The magnesium we use in our supplements are 100% natural. The salts are extracted by evaporation from the ‘’Laguna de la Higuera’’, a lake close from Albacete in Spain. The water is extremely rich in magnesium. Once the magnesium is evaporated, the salts are collected through natural processes and prepared for different uses. Because of the high dosage magnesium in the MSIsport capsules, the intake of one capsule a day is sufficient. The advice take it after dinner. Because of the special characteristics and advantages of the product MSIsport it is suitable for a broad target group. 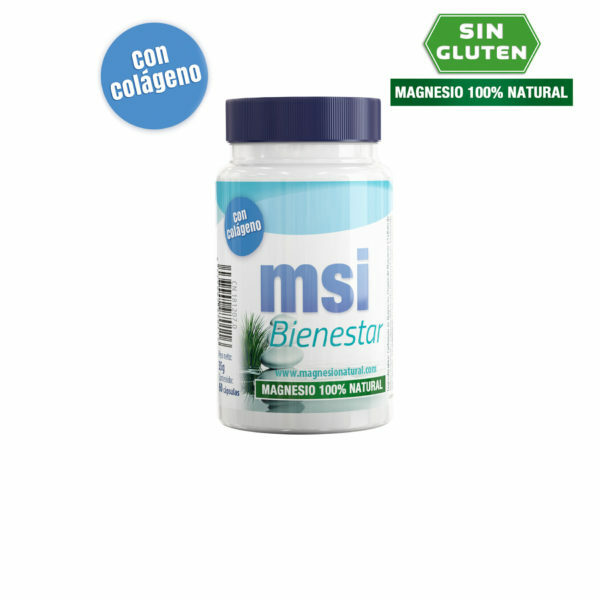 Click here to purchase MSIsport.